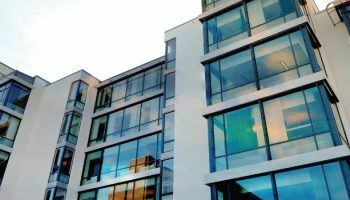 At a time of uncertainty, as the UK looks to leave the European Union, it is encouraging to see the likes of leading real estate consultancy firm JLL India taking a more positive outlook on the worldwide real estate market. The company believes Kochi will be the next property market hotspot in India and there are some very good reasons why this conclusion was reached. The Indian property market is certainly growing in popularity with foreign investors and we are starting to see investors looking away from the larger well-known cities. As the Indian government looks to increase investment in infrastructure it is certainly worth noting that Kochi has the largest global hub terminal for international container transport in the country. This effectively makes the city a gateway to South India and when you bear in mind the ever-growing increase in international trade this will certainly be an attraction going forward. As business in the region grows so will demand for local real estate and the economy will certainly benefit going forward. The ongoing construction of an international terminal at Kochi will again have a major impact upon visitor numbers to the region. Due to be commissioned in 2016 the airport will be able to handle up to 4000 passengers per hour attracting both business and domestic travellers. This is just another piece of the jigsaw which will see ever-growing demand for real estate in and around Kochi. The Indian Ministry of Urban Development has included Kochi in its list of 20 candidates for so-called smart city status. This development will see yet more investment in Kochi covering areas such as e-governance, water management, power supply and general infrastructure. This all adds to the attractions for both domestic and international businesses looking for a foothold in the Indian market. There will also be yet more investment in general transport links in the region complementing the new airport and international container transport terminal. When you consider the ongoing changes in and around Kochi the introduction of a metro rail service, due to be operational by 2017, is yet another feather in the cap of the local authorities. This is India’s first tier II city to propose a metro link which shows that the local authorities and the government have been very forwardthinking in their approach to Kochi’s future. If you look at the long-term potential of the Indian economy not to mention the enormous population, many of whom have yet to benefit to any great extent from the recent growth in the economy, there is certainly great potential for cities such as Kochi. Investment in infrastructure, smart city status and an expanding real estate market will catch the eye of domestic and overseas investors. When you also consider the recent changes in real estate regulations, offering greater protection to developers and investors, could we possibly be headed for a perfect storm for cities such as Kochi? Could mansion tax push investors out of London?